Found on the forest floor and along roadways. Up to 3' tall - blooms summer to fall. White to light purple flowers with delicate petals often pointed backwards. 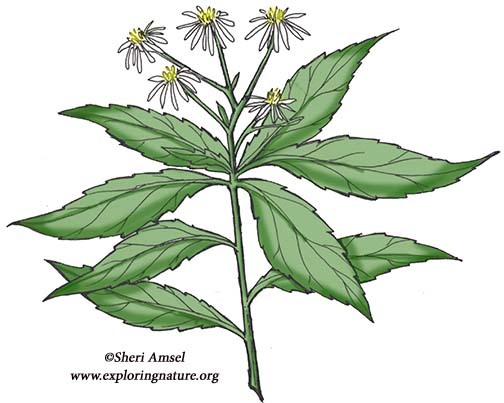 Long, pointed, toothed leaves are often whorled around stem and larger toward the top of stem. 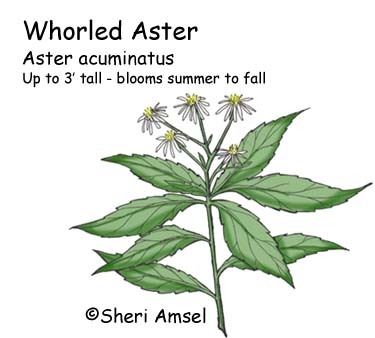 Also called, Sharp-leaved Aster and Mountain Aster.